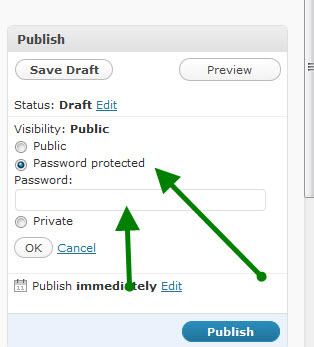 Ever Create a Password Protected Post on Your Blog? by blogcoach • May 25, 2010 • Comments Off on Ever Create a Password Protected Post on Your Blog? Password protected posts allow you to create content that is visible to the world if they know the password you gave the post. So How Do You Password Protect Your Blog Post? Congratulations! You have now created a Password Protected Blog Post. 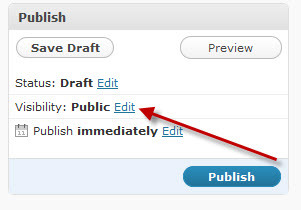 What Can You Do With a Password Protected Blog Post? I often use password protected blog posts to host PowerPoint slide shows for trainings. Now I challenge you to allow your imagination to expand. Think about a contest, or something else that your readers can enjoy.